If you’re dreaming of a venue with romantic grandeur, look no further than Saints Center, in Stuart, Iowa. This former church was voted the most beautiful in Iowa before it was burned by arson in 1995. After a $4 million restoration project, this old world beauty is now host to many more people and events. As you walk up the stairs, through the large double doors, you’ll enter the Main Hall. 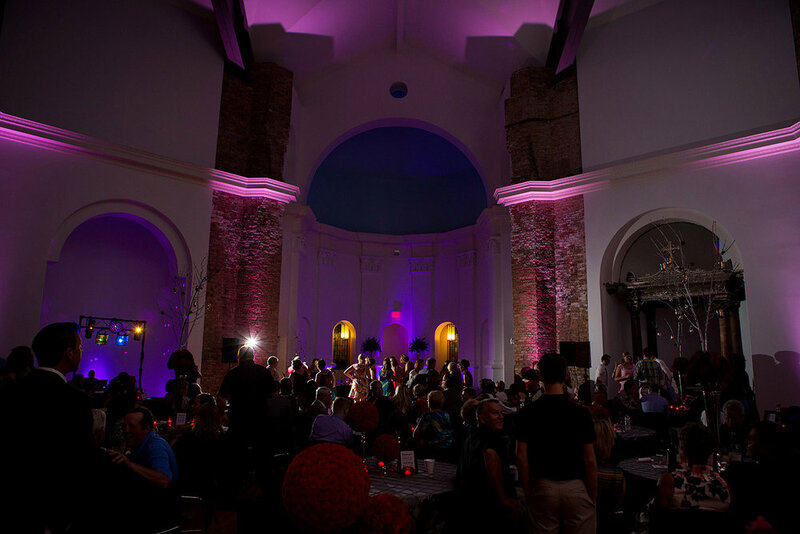 This giant room holds the sky blue dome overhead with modern steel beams and original exposed brick walls, perfect for large weddings. It’s a gorgeous venue for a ceremony and can be flipped for the reception. The Foundation Room on the main level features hand-carved limestone walls and the Chapel is even more intimate, with a small altar for a more traditional ceremony. Find out more about this breathtaking gem just 30 mins west of Des Moines at saintscenter.com. We’re loving the new twist on the traditional photo booth — Portrait Studio. 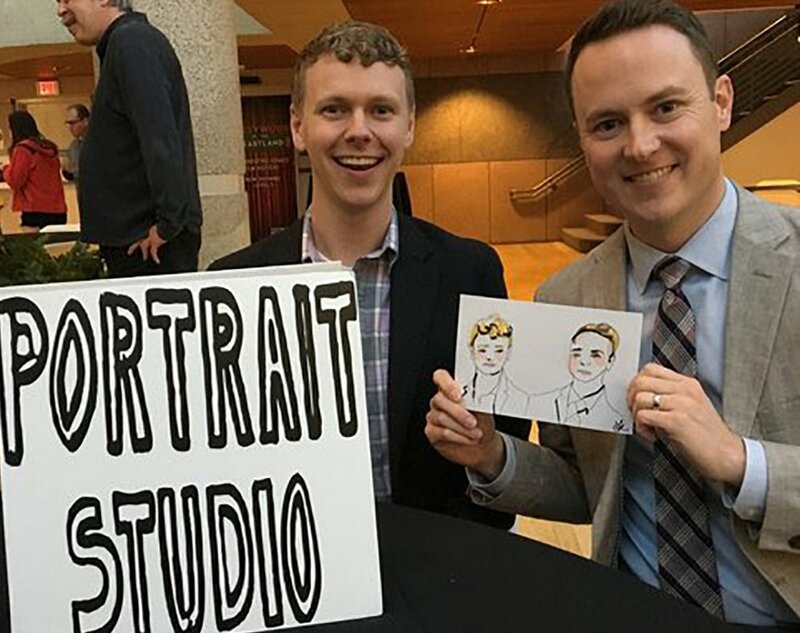 This company employs the best portrait artists that Des Moines has to offer. All of their artists have a unique style and practice outside of the studio. 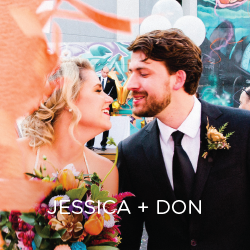 If you want to bring a fun and creative element to your wedding, this is it! Your guests will enjoy a relaxed environment and walk away with a one-of-a-kind, memorable portrait of themselves created by trained, professional artists. Portrait Studio will be the perfect addition to your wedding.